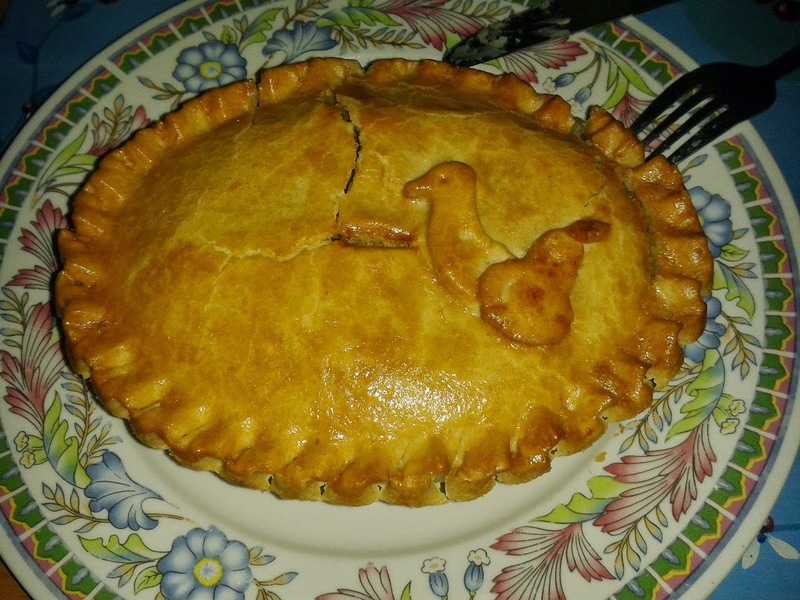 Pierate - Pie Reviews: And a Partridge in a Pear… pie?! You can probably imagine my surprise when, having joked to Nice Pie on twitter “I don’t suppose you do a ‘partridge in a pear tree’ pie for Christmas, do you?” that the answer was yes – yes they do! But perhaps I shouldn’t have been so surprised! After all, Nice Pie have provided us with a whole menagerie of exotic pies that have rated very well on the 7 Cs of pie rating! Of course the Partridge in a Pear Tree is famed as the first and most repeated line in the Christmas tune “The Twelve Days of Christmas”. The partridge in a pear tree was in fact the kick start to what the true love gave over those 12 days of Christmas. But surely what your true love would really want for Christmas is a pie – rather than a tree with a bird in?! The question is… could the partridge in a pear pie be that ideal pie? Could the novelty flavour work in a pie? Is this what we’ve been missing from the Christmas table the last few years? Last year we turned the “12 Days of Christmas” into the “12 Pies of Christmas”, making our own music video after rating twelve new pies! Check out the pies and the video here! The partridge in a pear pie contained – as you might have guessed – large pieces of partridge within a pear and pear cider filling. The pieces of meat were spread through the pie, surrounded by what was like a pear puree with some small crisp pieces of pear. The pastry was crisp and lightly golden, holding well considering how packed to the capacity the pie was with content. There were a few crumbly bits but on the whole held together well and could be picked up too. 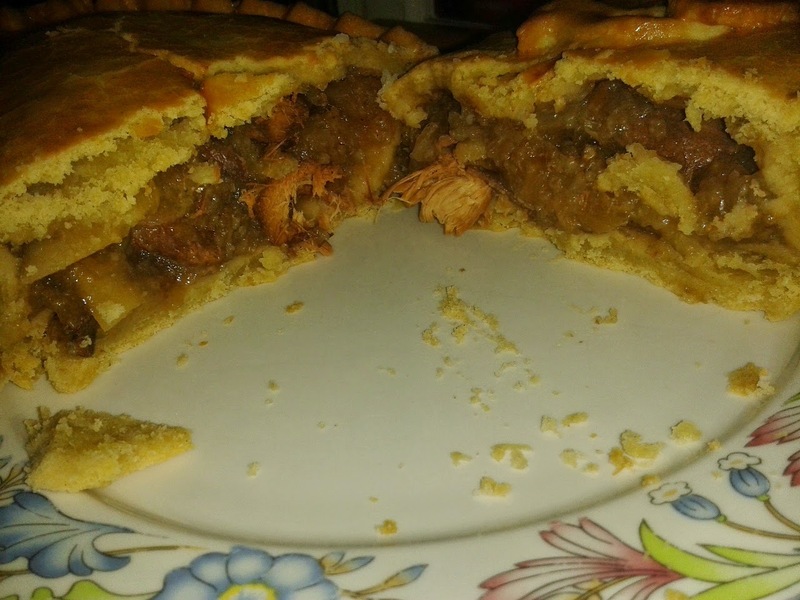 There were some very big pieces of partridge in the pie, which could have been cut a little smaller and distributed across the pie to spread the flavour a little more, but you certainly couldn’t miss the meaty content of this pie! The partridge itself was a dark meat, a bit chewier than your typical chicken or turkey meat, though it reminded me more of the latter. It was just a little dry in places, probably due to the filling of the pie being more of a moist, pear filling than a gravy-style consistency. The content was certainly weighted more towards the meat, which I for one wasn’t complaining about! The pear had quite a sweet tang to it, which is a bit more of an acquired taste and not something I had really sampled in much cooking, let alone a savoury dish! It infiltrated the meat and pastry, flavouring the whole pie. While making it quite a sweet dish as a result, this pie certainly lived up to its billing as partridge in a pear pie!